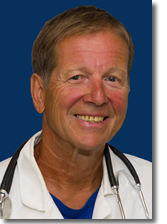 I understand that although Peter Zeischegg MS, DC, DACNB (Dr. Z) is a Board Certified Chiropractic Neurologist licensed to practice in California, he is not my doctor. A phone consultation is not intended to replace my present health care provider(s). Answering health questions during Dr. Z's Phone Health Consultation does not imply a diagnosis of any kind. Any suggestions made by Dr. Z are based on typical symptom patterns that tend to occur with certain functional disturbances. Any recommendations made by Dr. Z for dietary changes, behavioral modifications, products, recommended dosages, etc., are not intended to diagnose, treat, cure or prevent any disease. I understand that when I provide answers to specific health questions and review the subsequent recommendations, any decisions I make are my own. foregoing terms herein set forth.